Parents consider that spending money on learning resources such as books, educational games and private tuition for their children is more productive if the child attends a higher quality school, according to new research led by UCL. The study found that parents believe that if their child attends a higher quality school, they would benefit more from material investments made by their parents in terms of having a higher earning potential at age 30. "Given that children from wealthier backgrounds are also more likely to attend better schools, the relationship parents perceive between school quality and material investments might contribute to the low social mobility in England," said co-author Dr. Teodora Boneva (UCL Economics). It has been widely documented that parental investments are highly predictive of important life outcomes such as educational attainment, earnings and health. However, time and financial resources which parents allocate towards their children vary considerably across families. "The fact that some parents invest less in their children than others is not necessarily a consequence of having less time or money. Differences are also likely to be driven by differences in parental beliefs about the returns to parental investments. The results of our study are important as they help us to identify bottlenecks which prevent parents from investing in their children," added Dr. Boneva. Other findings from the study show that while parents believe that school quality matters, they also believe that parental home inputs play a very important role. In fact, they believe that an additional three hours per week in terms of time investments or an additional £30 per week in terms of material investments matter more than moving a child from a school which "requires improvement" to a school which is "outstanding." Moreover, parents who perceive a higher return to parental time investment, spend more time interacting with their children. Parents who envisage the returns of material investment spend more on learning resources, and those who perceive the investment in school quality to be higher are spending significantly more on school fees. Generally, parents also believe that there is more to be gained in investing more time and money in supporting their children at home, rather than moving them to a better school. But school quality matters more to parents as the child gets older. The results were the same for boys and girls and for children of different ability levels. Put differently, parents do not believe that the return to different types of investments differs with the gender or ability of the child. Moreover, perceived returns were also not found to vary with the socioeconomic background of the family. The study used data from a novel representative survey of nearly 2,000 parents in England with at least one child aged five to 16 years living with them at home. Parents were provided with different hypothetical scenarios. 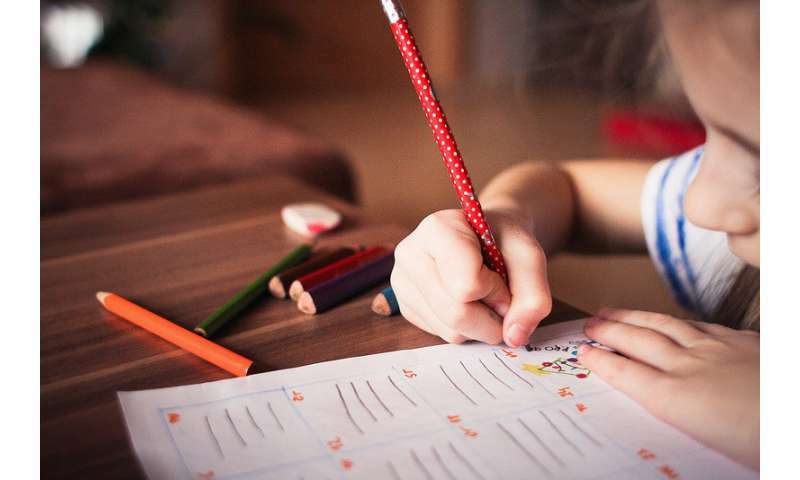 The participants were asked to picture a child facing a certain home environment and school quality, which ranged from "requires improvement" to "outstanding." Next, the researchers varied the amount of time and material investments children received from their parents, and asked respondents to predict how much these children will earn as adults. The researchers believe that the findings could contribute towards understanding how to encourage parents to invest more into their children. "Skills are malleable and parents across the social spectrum should be made aware of this for the sake of their children's future. To narrow the socio-economic gaps in achievement, policies should highlight to parents from disadvantaged backgrounds the benefit of investing more time and money on educational resources at home," concluded Dr. Boneva.